From June 18 to September 20, the Milwaukee Art Museum is proud to temporarily house works by some of the most famous artists in history in an exhibition titled Van Gogh to Pollock: Modern Rebels. One such rebel artist, whose painting Self-Portrait with Monkey is displayed in this extraordinary exhibition, is Frida Kahlo. In honor of her 108th birthday on July 6, we celebrate the life and mind of this strong woman and creative artist. Frida Kahlo may best be known for her colorfully vibrant paintings, many of which were self-portraits. Or, perhaps you know her better as the artist with the prominent unibrow. 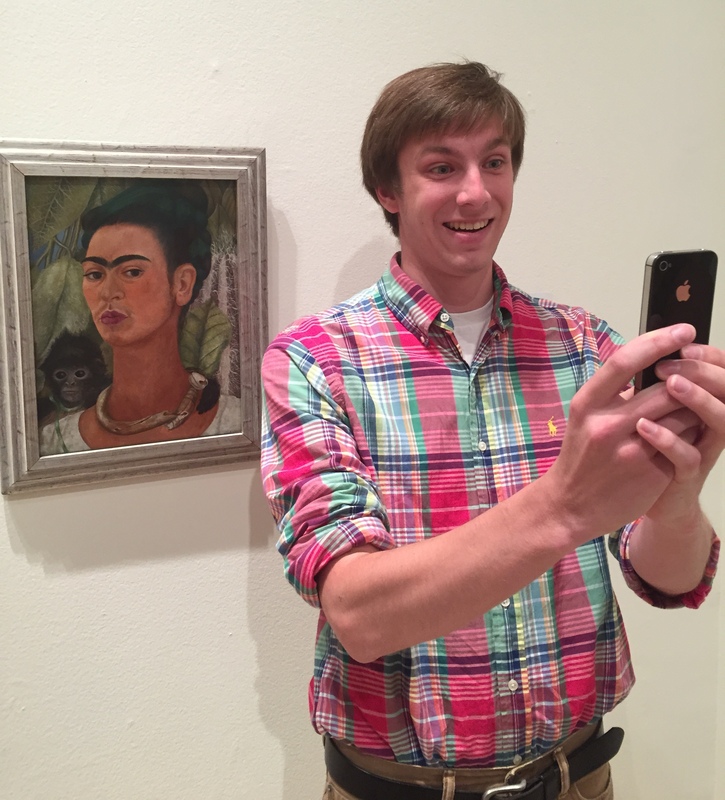 Whichever is the case, you may know of Kahlo without knowing much about her as a person and artist. 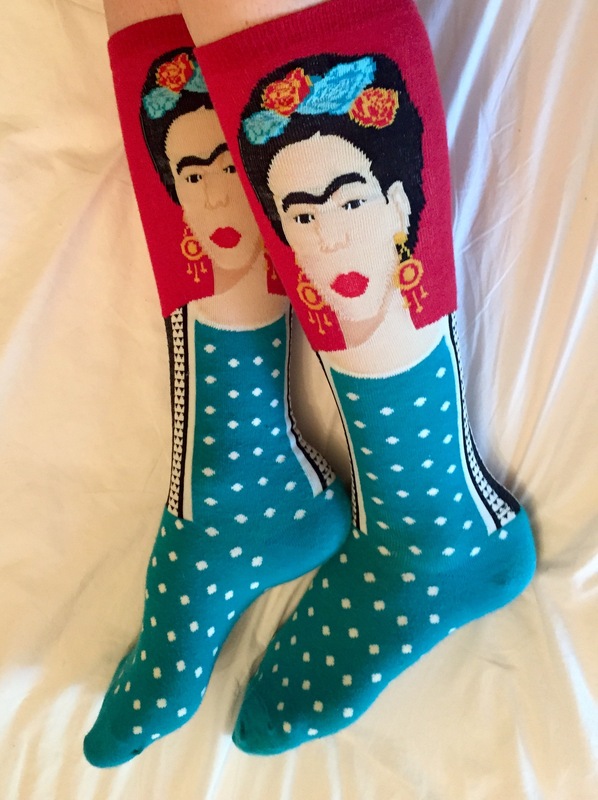 Kahlo has continuously been commercialized since the 1970s in recurring cycles of “Fridamania,” as it is popularly called. People have dressed up as her for Halloween, created fashion lines as inspired by her wardrobe, and placed her face on everything from socks to posters; in 2002, a movie was even produced about her life. Though she lived in the early to mid-1900s, she seems to be an icon that persists throughout time. Her face is easily recognized, but what about the woman behind the iconic face? What makes her eternally relevant? 1. Interestingly enough, Kahlo often lied about the year she was born. Her birth certificate shows that she was born in 1907, but she would tell people that she was born in 1910. She did this not to make herself seem younger, as one would expect, but to identify the start of her life with the onset of the Mexican Revolution. 2. Kahlo’s interest in painting grew out of sheer boredom. At age 18, she was confined to her bed, trapped in a full body cast because she had been in a terrible bus accident; she remained in the cast for three months and would never fully recover. Painting was a way to keep her occupied during the long hours in each passing day. 3. Kahlo and her husband, famous muralist Diego Rivera, had a “tumultuous relationship.” They divorced at one point and remarried only one year later. Each had numerous affairs throughout both marriages and they even lived in separate homes for a time. 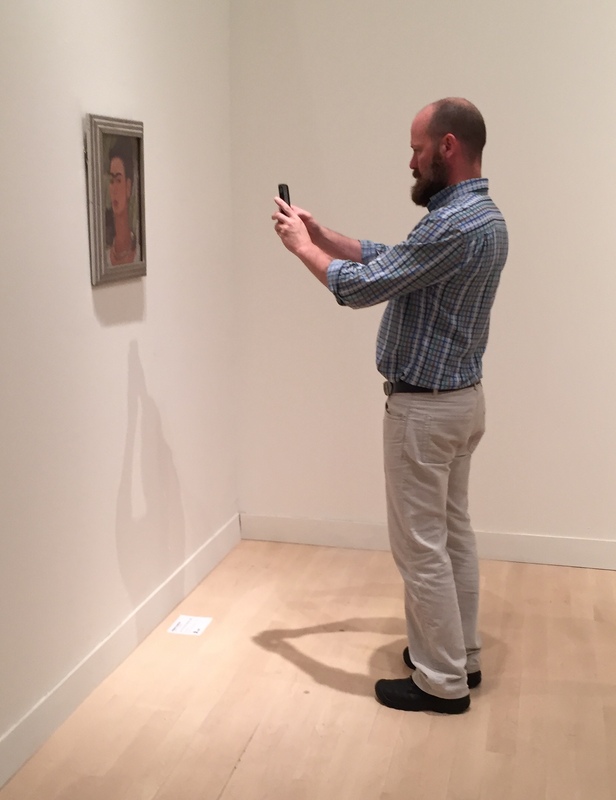 Stop by MAM to snap a selfie with the “Selfie Queen” herself! 4. Kahlo would befriend and be admired by a few famous artists during her lifetime. André Breton, a Surrealist, personally invited her to Paris to exhibit some of her works. While in Paris, she met Pablo Picasso, who also very much enjoyed her work. 5. Kahlo was no stranger to loss. Throughout her life she had two miscarriages, lost her father, felt the constant loss of her husband’s fidelity, and lost part of her right leg due to gangrene. Returning to the question of why Frida Kahlo always seems to be relevant, it is easy to see why many would want to identify with such a strong woman. Though she faced much adversity in her life, she chose to bring her insecurities and shortcomings to light instead of hiding them. Kahlo’s artwork and her entire self-image have come to represent courage, openness, and immense creativity. She is a rebel we must admire. This entry was posted in Art, Exhibitions and tagged 20th century art, Frida Kahlo, Modern art, Modern Rebels. Bookmark the permalink. 1 Response to Happy Birthday, Frida Kahlo! I have always enjoyed Frida Kahlo’s work as a representation of true Symbolism mixed with a little Surrealism. I’m so glad that you are honoring her birthday! Her work is unique and personal, as Breton and Picasso knew!